Ambition, Battles, Witches, Murder, Conspiracy, Ghosts, Insanity, Tragic Love…Scottish Kilts! MACBETH, one of William Shakespeare’s most famous and popular plays, is performed by the High School of Art & Design’s Drama Club. 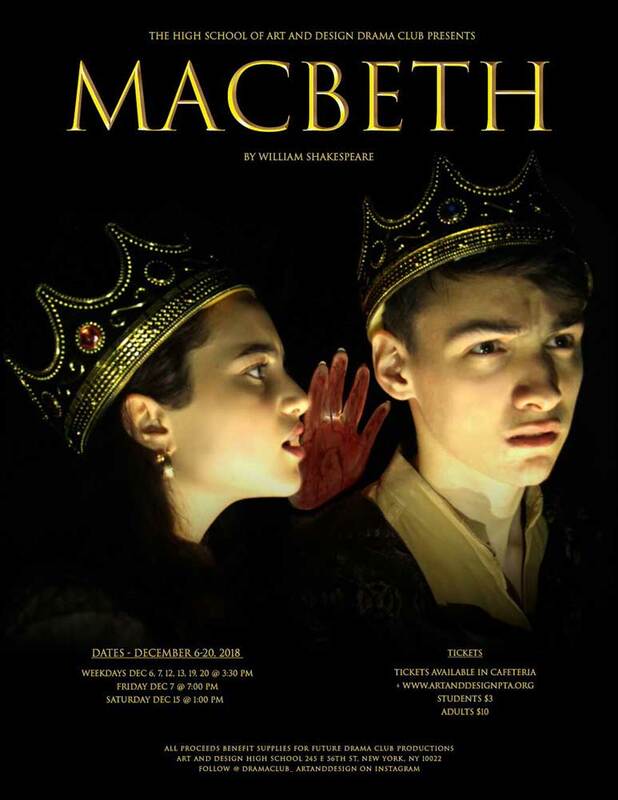 Please attend this two week run of the Drama Club’s performance of Macbeth! Shows start Dec 6th and last performance is Dec 20th. Online ticket sales are $10 via Brown Paper Tickets. Students can purchase tickets for $3 during lunch periods. All proceeds benefit future productions of the Art & Design High School Drama Club.